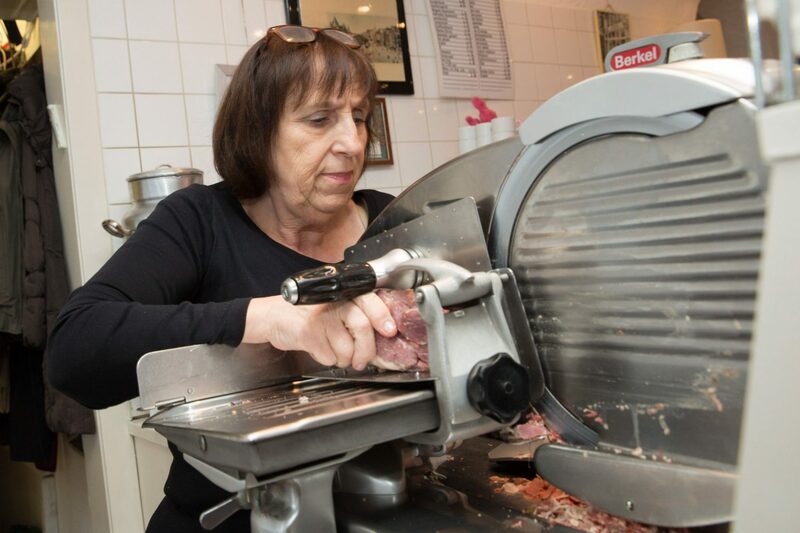 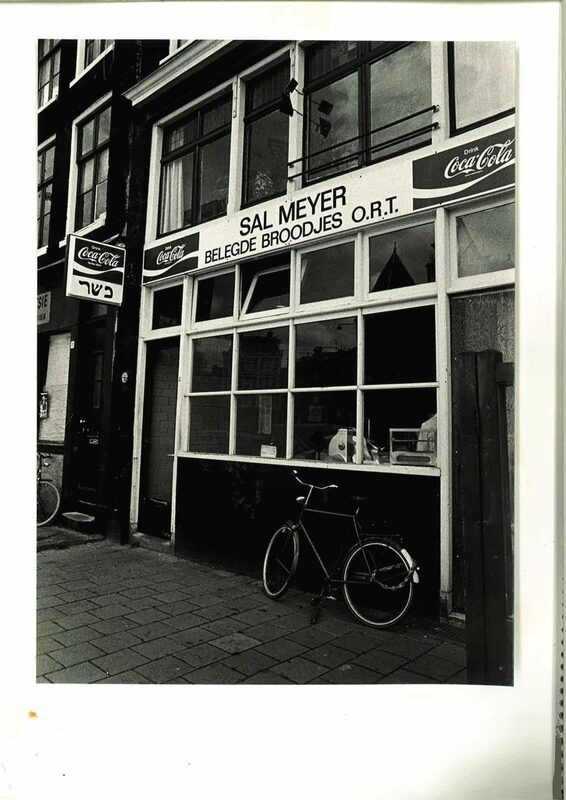 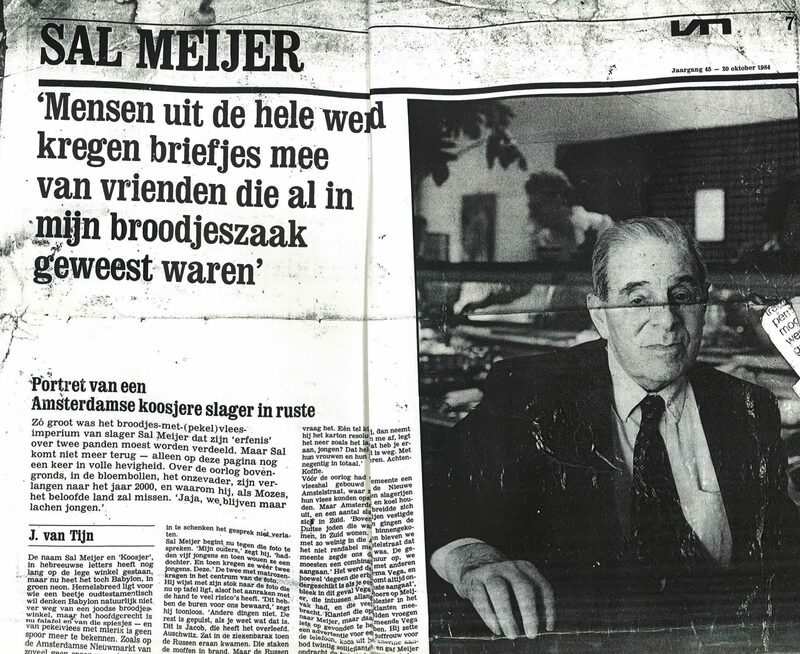 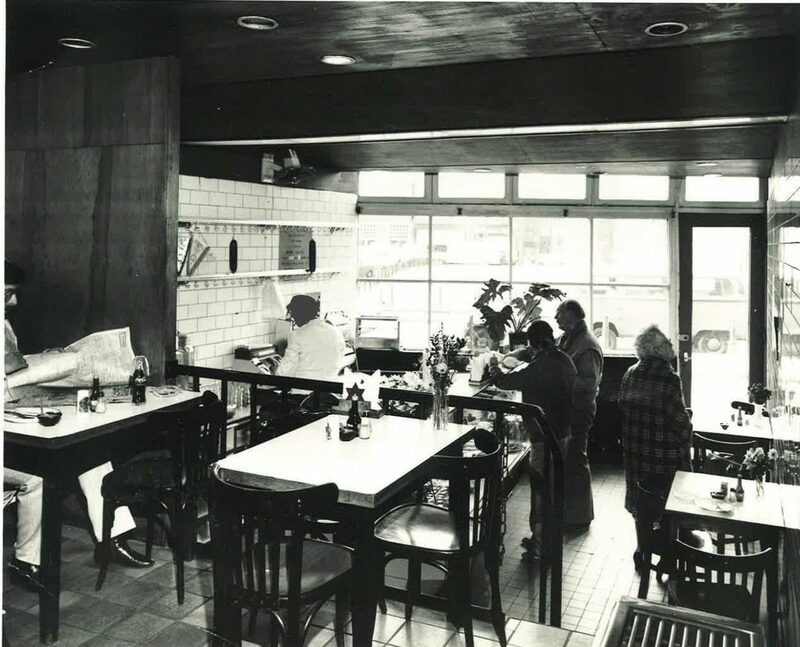 Sandwich Shop Sal Meyer is known in Amsterdam since 1957. 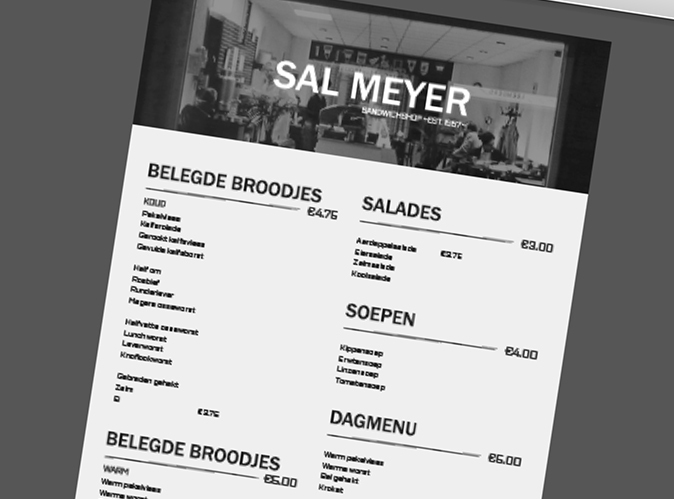 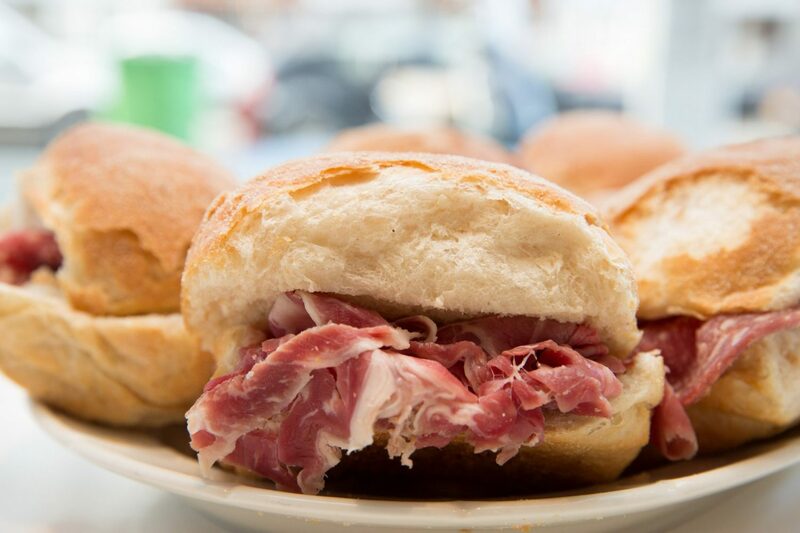 The beef sausage rolls, and the fish cakes, but also the atmosphere of deli Sal Meyer are famous. 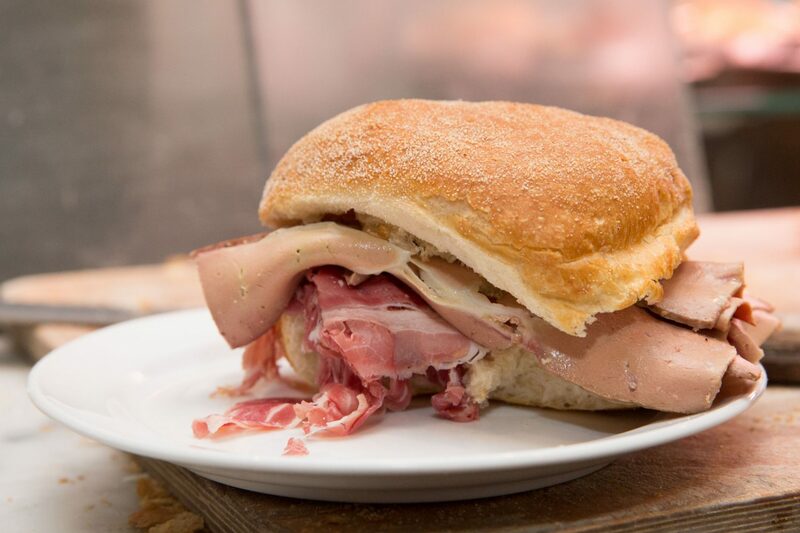 The hot sandwich meat is unsurpassed. 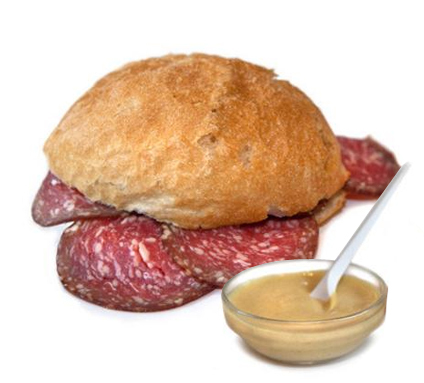 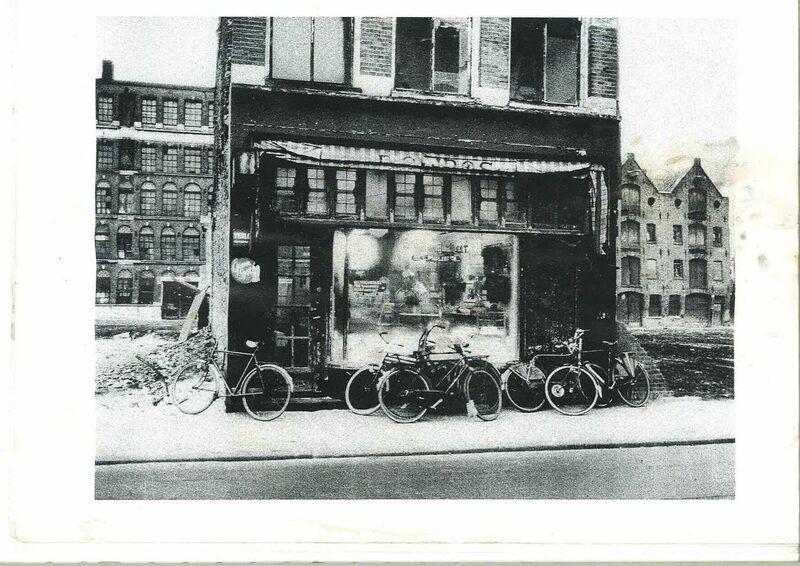 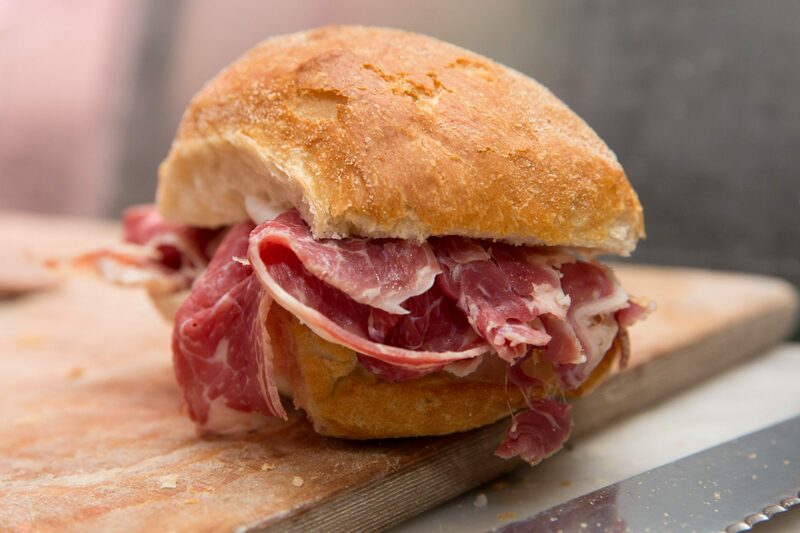 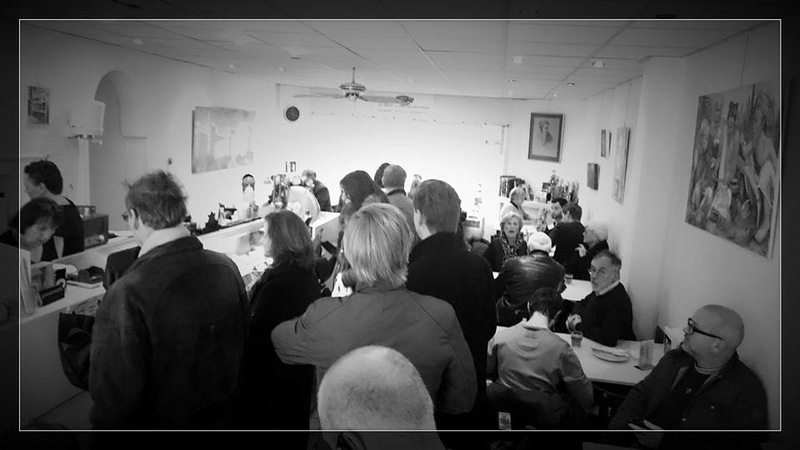 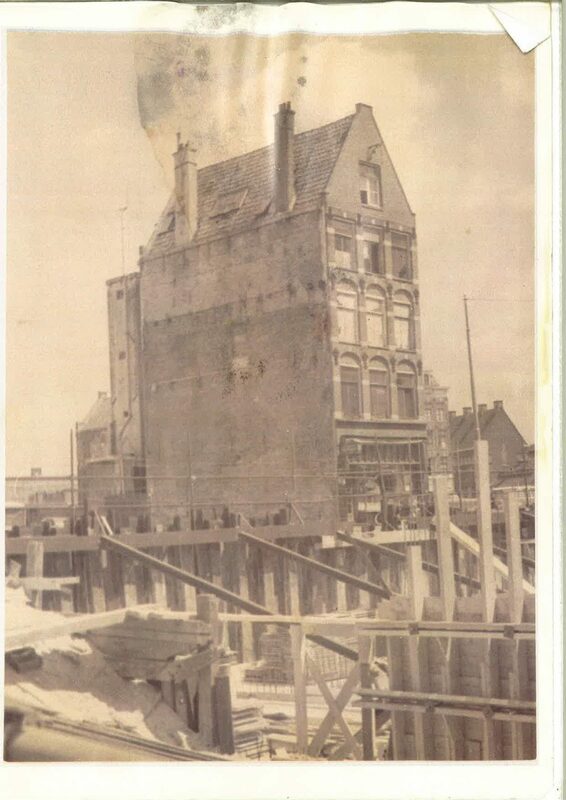 The most delicious sandwiches and atmosphere you can taste in our branch at 114 Buitenveldertselaan Amsterdam. 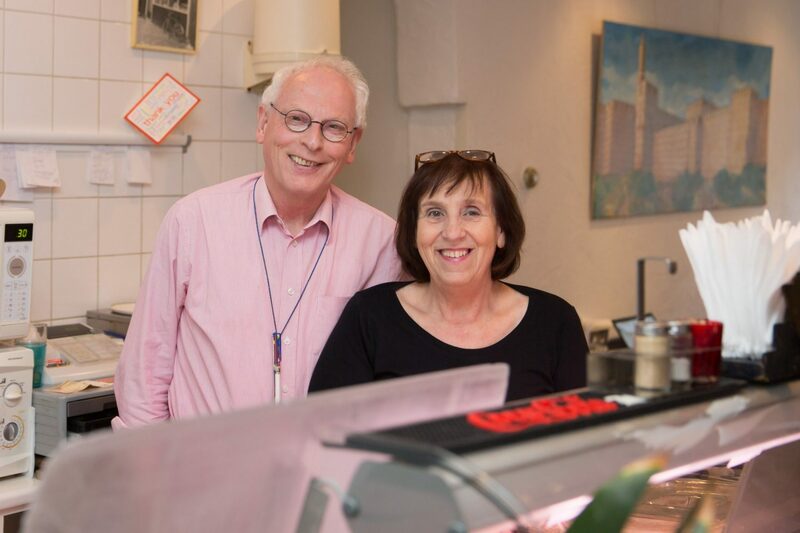 You are welcome! 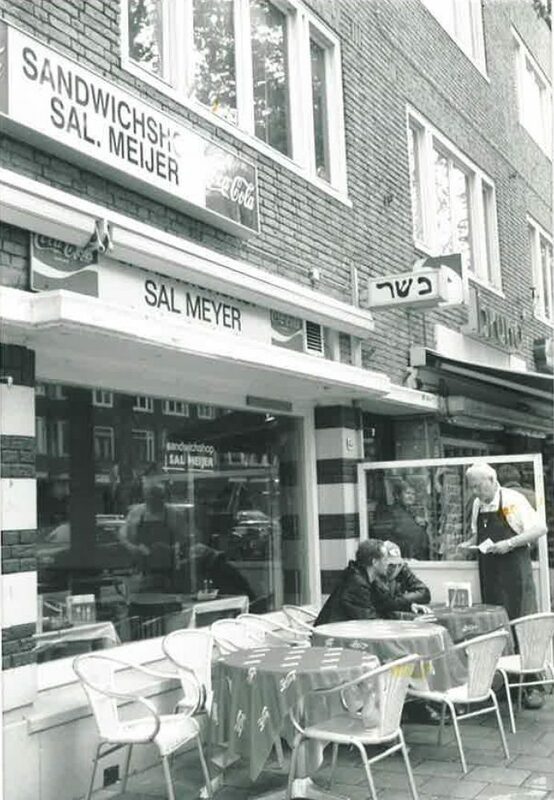 The famous kosher deli Sal Meijer, who closed late December 2015, comes at a new site in Buitenveldert. 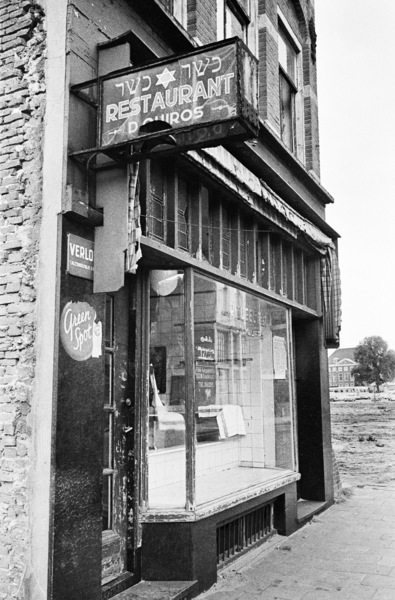 The store will open in October 2016. 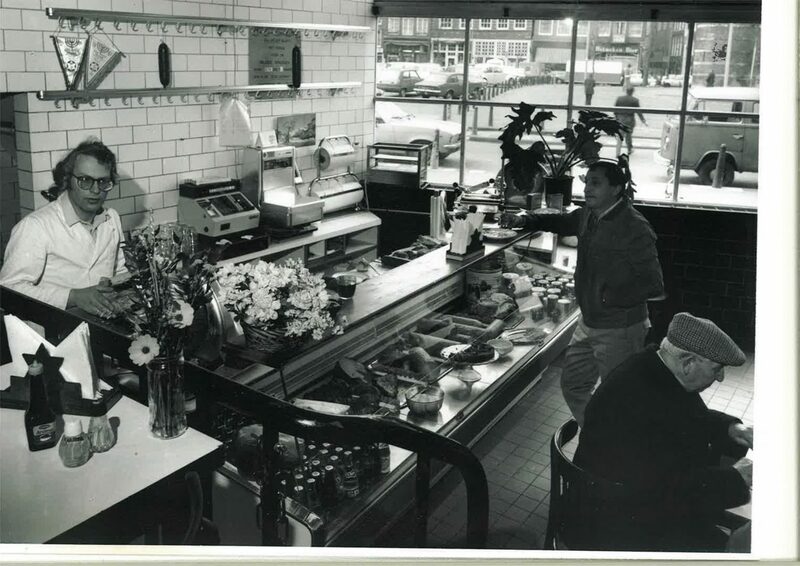 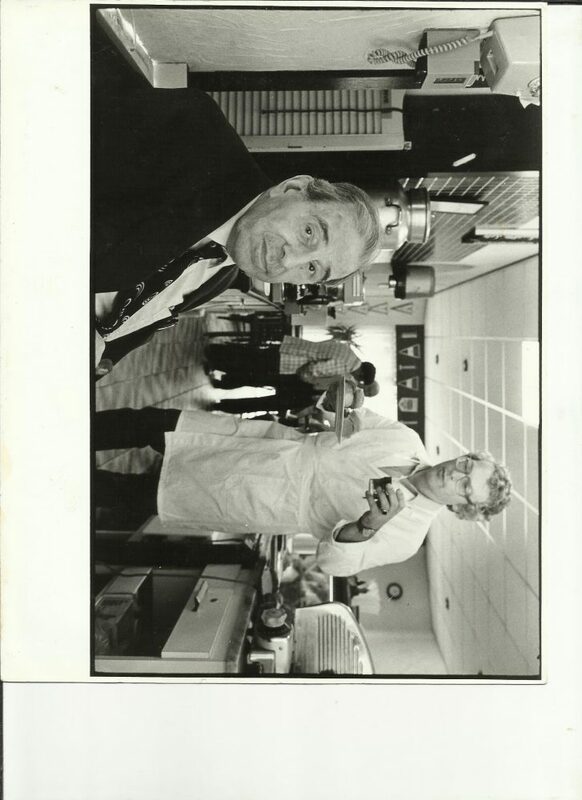 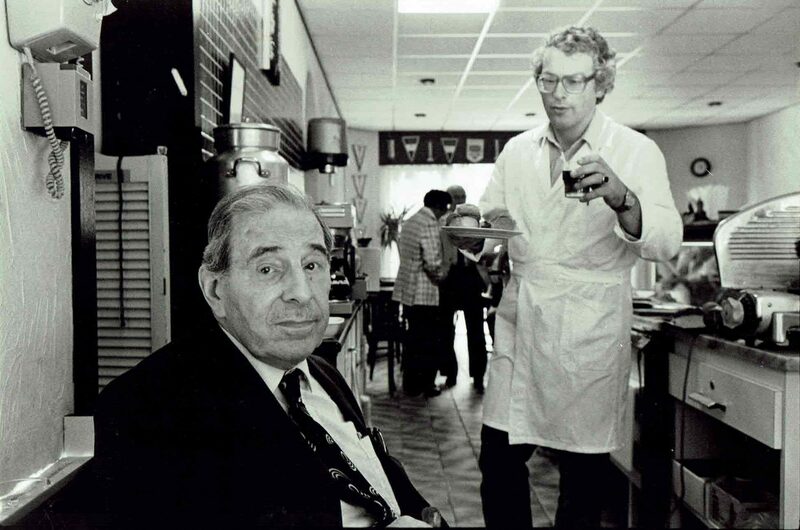 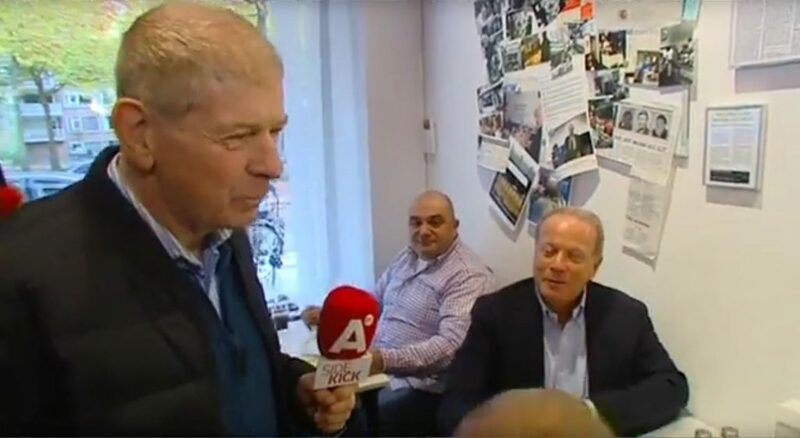 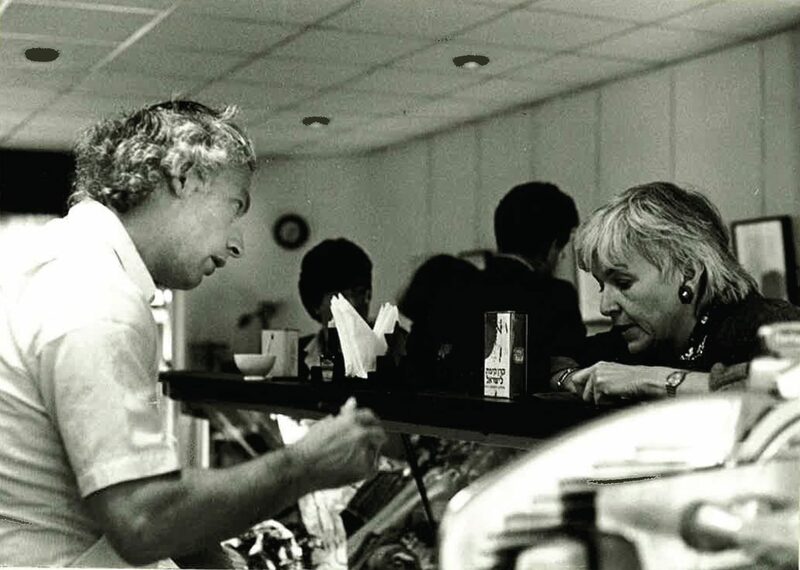 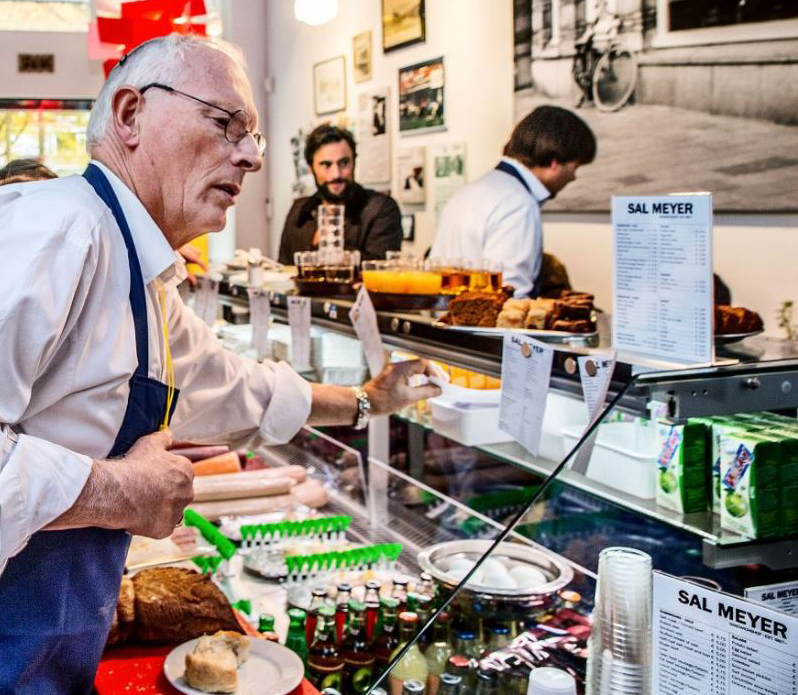 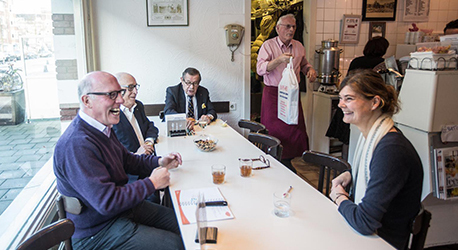 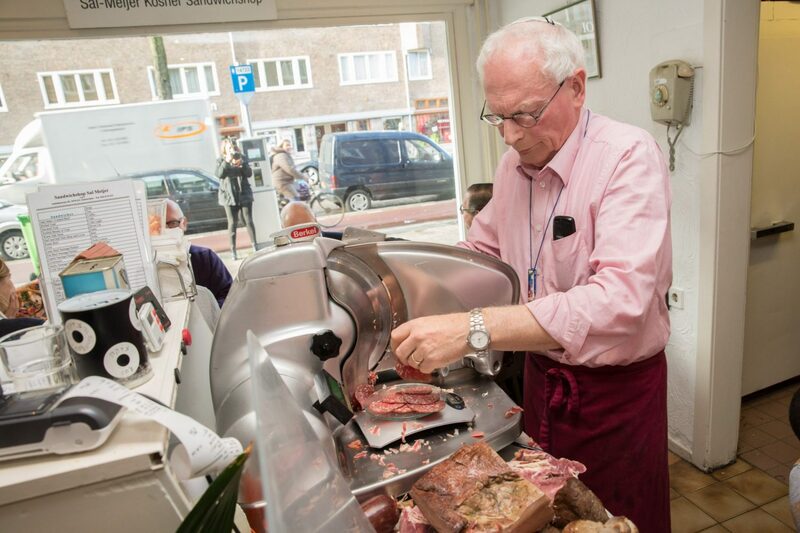 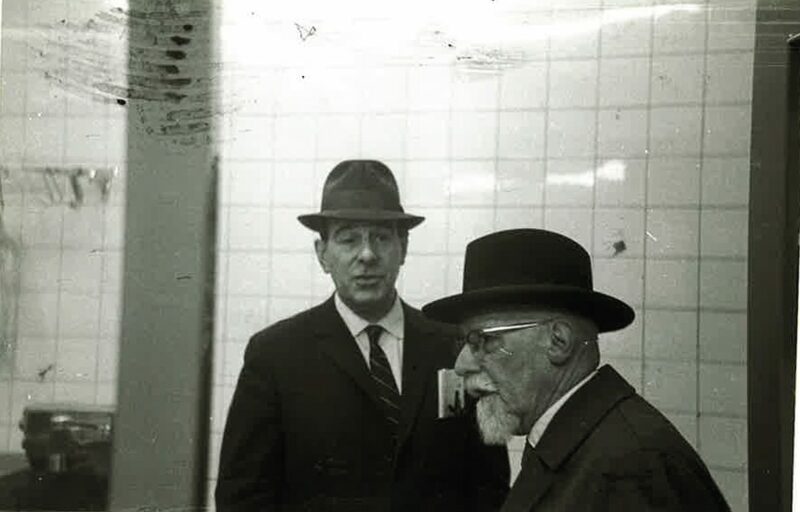 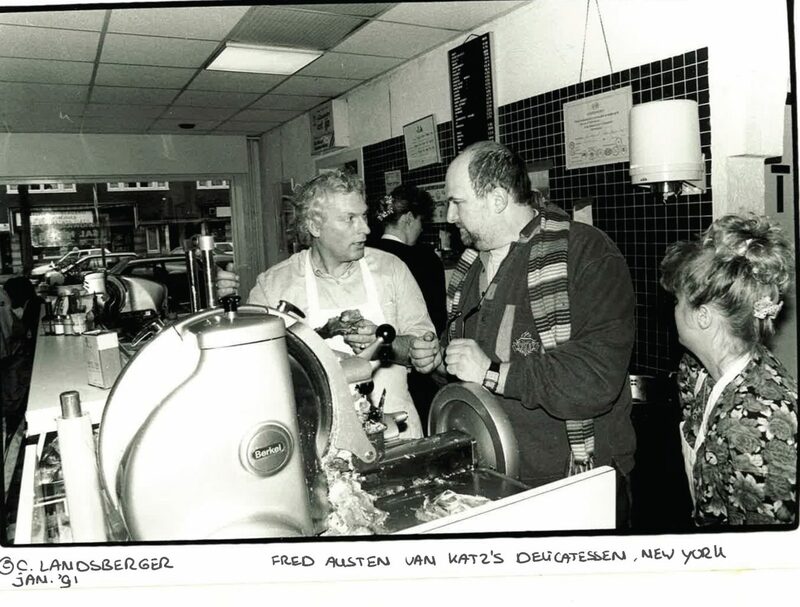 Frits Barend visits his beloved sandwich shop Sal Meyer in Buitenveldert, Amsterdam. 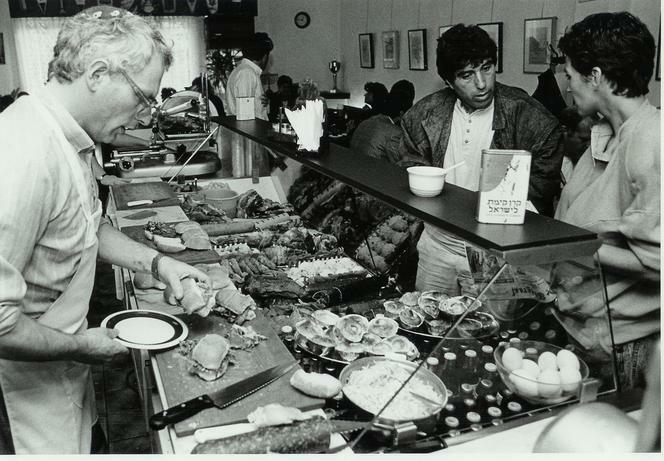 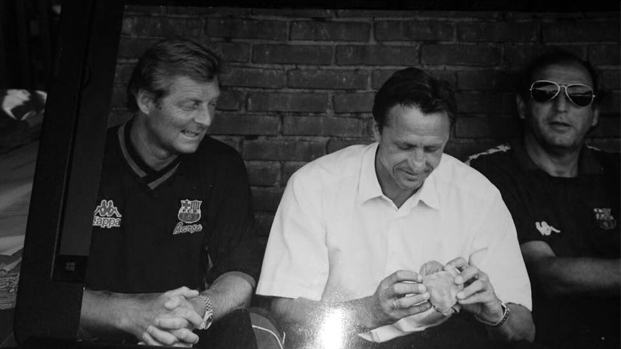 “Between 13.00 and 13.30 it’s time for a half-roll or beef-sausage, fish-cake or pickles. 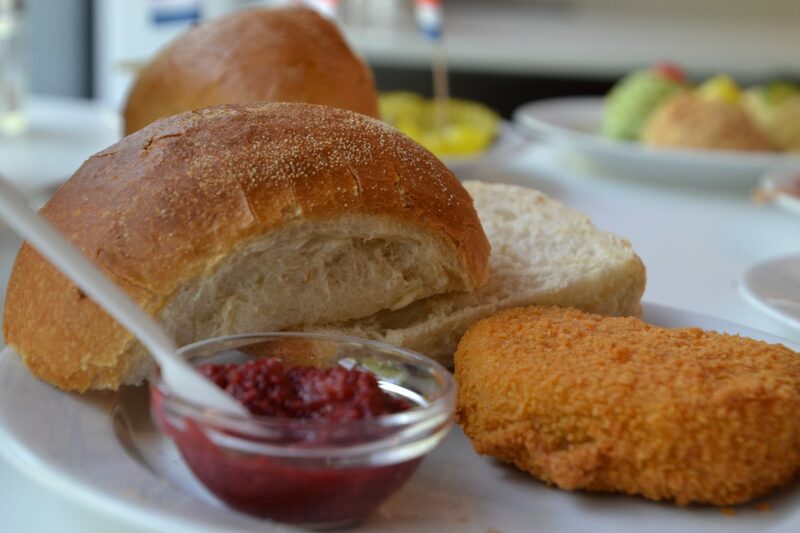 The fishcake is really delicious, it’s a blessing that it’s open again”.